Marie A. (Holland) Rizzo, of Reading, passed away on Friday, May 18, 2018. She was 54 years of age. Born in Cambridge, Marie was the daughter of Francis Holland and the late Belvia (Dixon) Holland. She grew up in Stoneham and graduated from Stoneham High School. Marie was the beloved wife of Joe Rizzo. She was the devoted mother of Adrianna Rizzo, Joseph Rizzo, Jr., and Nicholas Rizzo. She was the cherished sister of John Holland, Philip Holland and his wife Kathryn and Ed Holland. She is survived by many loving family members and friends. Marie had a smile that shined as bright as a star. Her kids were her all. She married her best friend and they shared a beautiful partnership for 23 years, creating endless memories. Marie was patient, strong, and had a heart like no other. She would do anything for anyone. In her spare time, she enjoyed spending time with family, visiting the cape, and doing everything she could to put a smile on people’s faces. For anyone that knew Marie, she loved spending time in the sun almost as much as she loved to clean. Her spirit and loving ways toward her children, husband, family, and friends will be her legacy forever. 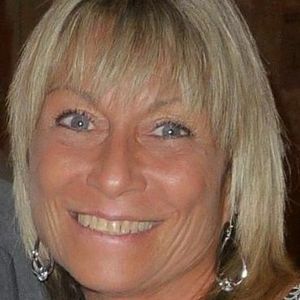 Funeral from the Barile Family Funeral Home 482 Main St. (RT28) STONEHAM Thursday, May 24th at 9 am followed by a Funeral Mass Celebrating Marie’s Eternal Life in St. Patrick’s Church 71 Central St. Stoneham at 10 am. Interment St. Mary’s Cemetery, Lawrence. Family and friends are kindly invited to gather and share memories with the family on Wednesday, May 23rd, 2018 from 4 pm to 8 pm at the funeral home. Parking attendants and elevator available.